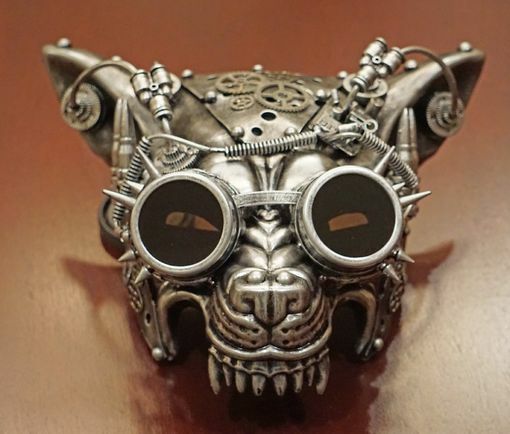 Steampunk Wolf mask is hand painted and accented with lots of gears, spikes. Mask comes with elastic band for a secure fit. Wolf Steampunk mask is available in 3 different colors.